It’s time for another round of WordPress Wednesday, and this time Website Magazine is highlighting some of the coolest social plugins available. Whether you are in need of a plugin to verify your site’s presence on Pinterest or a social login plugin to increase site engagement, the list below is likely to feature a solution to your social problem. Feature Instagram content on your site with the Alpine PhotoTile plugin. The plugin enables users to retrieve photos from specific Instagram users or tags and display them on their WordPress site. Plus, users can display photos in a sidebar, post or page as well as can leverage the plugin’s Lightbox feature for an interactive slideshow. Make your site more social with the BuddyPress plugin, which is a suite of social network components. Through the plugin, users can create site memberships, feature activity streams, enable private messaging, create groups and more. Essentially, users can turn their WordPress site into a social network. While not downloaded nearly as much as other plugins on this list, ContestFriend helps users run social sweepstakes, contests and giveaways. The plugin includes social sharing buttons, built-in URL shortening, a weighted entry system and more. 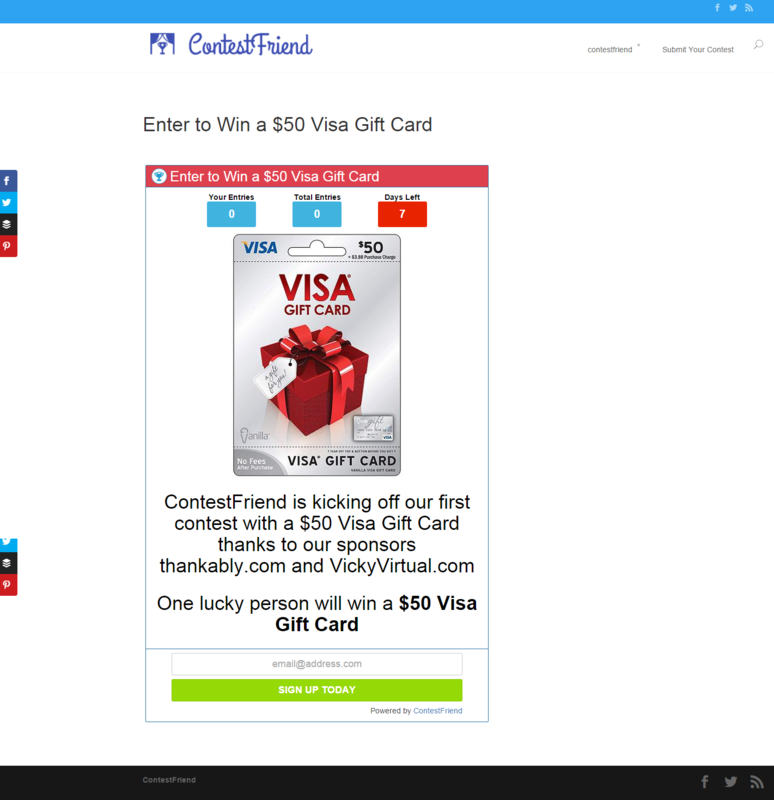 Plus, ContestFriend integrates with MailChimp, AWeber, CampaignMonitor and GetResponse. Add Facebook Comments to your WordPress site with the Facebook Comments plugin. Additionally, users can insert the comment box as a shortcode into any post, page or template. Display social testimonials on your WordPress site with the Kudobuzz Testimonial plugin. The plugin collects positive things people say on social, filters them and displays the content on users’ websites. Plus, users can collect reviews from their site visitors too. With the Microblog Poster plugin, users can automatically have their new and old blog content published to social networks, including Facebook, Twitter, LinkedIn and Tumblr. This can help users ensure their content reaches social fans and followers. Site owners can improve their socially shared content with the NextGEN Facebook plugin. The plugin offers social sharing buttons and can be leveraged to make sure social sites present shared content in the best way possible. What’s more, the plugin gives users control over all the information social website crawlers need, which can improve the site’s Google search ranking and click-through rates. Plus, the Pro/Power-User version of the plugin supports Twitter Card meta tags. The Pinterest Verify plugin enables users to verify their website with Pinterest by inserting a meta tag on their front page with no coding required. By leveraging the plugin, pinners will see the verification checkmark while users are also granted access to Pinterest’s free analytics. The Sharing Buttons & Analytics by AddShoppers enables users to add social sharing buttons to their WordPress sites as well as track sharing activity from networks, including Facebook, Twitter, Pinterest and Google+. Plus, the plugin offers social login and retargeting functionality, the ability to reward visitors for sharing content, an ROI tracking app for WooCommerce or WordPress eShop merchants and more. The Social Login plugin can be leveraged to enable visitor commenting, login and registration with more than 25 social networks, including Facebook, Twitter, Google, LinkedIn, Instagram and more. The plugin is compatible with BuddyPress and can be used to increase user engagement. If social media sharing and follow buttons is all you need, give the Social Media Feather plugin a look. The plugin totes itself as lightweight and supports social buttons for sharing and following for a variety of networks, including Facebook, Twitter, Google+, Pinterest, LinkedIn, YouTube, Tumblr, Instagram and more. Import a Tumblr blog into a WordPress blog with the Tumblr Importer plugin. The plugin handles post formats, can be used to import in the background and des not create duplicate imported posts. Launched in February, the official Twitter plugin for WordPress can be leveraged to optimize websites for Twitter audiences. Through the plugin, users can embed Twitter content and grow their audience on the social network. The plugin even generates Twitter Cards for a user’s Web pages in order to better highlight shared content. What is your favorite social plugin for WordPress? Let us know in the Comments Section below.